There’s a longstanding myth that goats will eat anything, but goats prefer browse and vegetation that we cannot digest. Their nimble lips are excellent at picking the most nutritious parts of plants in their environment and thrive on a diet that would challenge sheep and starve cattle . This is especially important in countries with limited options for cultivated or irrigated agriculture. 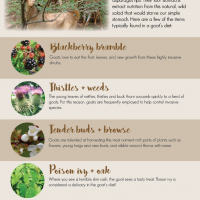 The image in this infograpic is of goats harvesting browse between thorns in Ethiopia. 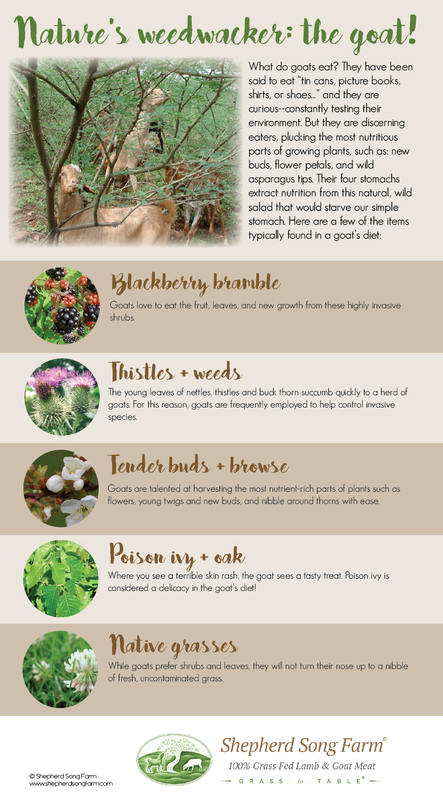 Learn more about the goat’s wild and varied diet below.